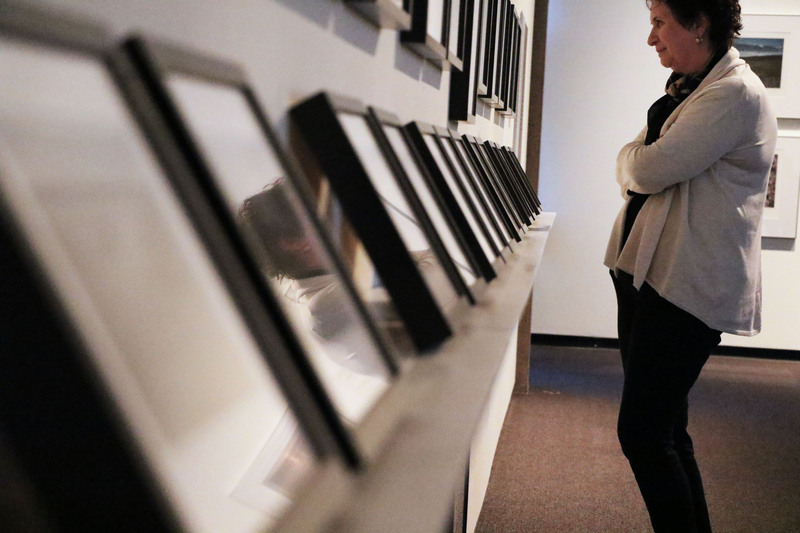 Confederation Centre Art Gallery welcomed audiences to major new exhibitions by Marlene Creates and Kent Monkman as it kicked off its summer programming. It is the Gallery’s ongoing goal to feature the diverse narratives of artists from across Canada in the exhibition program. Marlene Creates’ exhibition, Places, Paths and Pauses, is on view at the Gallery until September 30. 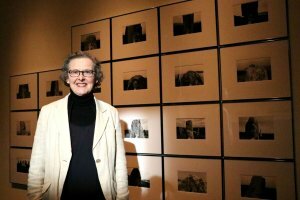 It is a nationally touring retrospective exhibition that showcases the prominent Newfoundland-based environmental artist and poet. The artist was on hand at the gallery for the opening on June 23 and offered an ArtTalk about the exhibition earlier that week on her nearly four decades of work. Internationally-known for her work in photography, mixed media assemblages, and (more recently) prizewinning videos and poetry, Creates’ projects explore the complex and layered relationships between people and the natural world they inhabit. This exhibition was organized by the Beaverbrook Art Gallery in partnership with Dalhousie Art Gallery and with support of the Museums Assistance Program. It was curated by Susan Gibson Garvey and Andrea Kunard. 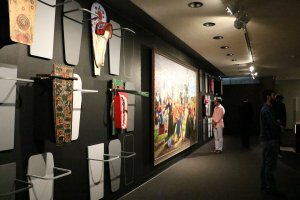 Kent Monkman also conducted a tour through his exhibition during the opening weekend. Shame and Prejudice: A Story of Resilience was created as a response to Canada 150 celebrations. Kent Monkman is a renowned artist and curator of Cree ancestry who works across media, including painting, film/video, performance, and installation. Monkman’s gender bending, time-travelling alter-ego, Miss Chief Eagle Testickle, is the guide on a journey through Canada’s history that starts in New France and takes us back to the years around Confederation and ends in the harsh urban environment of Winnipeg’s north end and contemporary life on the reserve. The exhibition focuses on some of the darkest chapters of Canada’s past through the lens of First Nations’ resilience. As both artist and curator of the exhibition, Monkman places his own paintings, drawings and sculptural works in dialogue with historical artifacts and artworks borrowed from museum and private collections from across the country. This exhibition runs until September 15. It was produced by the Art Museum at the University of Toronto in partnership with the Gallery and made possible in part by the Government of Canada and the Ontario Arts Council. Thanks are extended to the exhibition’s lead sponsor, Donald R. Sobey Foundation. 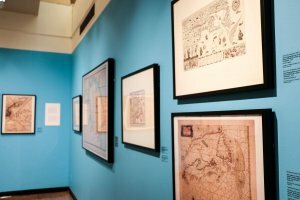 On the light-hearted side, Missing the Island looks at a fascinating selection of maps and ranging from a map by Samuel de Champlain published in 1613 to recent graphic by the Government of Canada, or a Hilroy notebook that omitted Prince Edward Island. The guest curator, Alan MacEachern, will do a public talk on this exhibition on August 9 at 7:00 p.m. The Gallery’s summer hours run from July to August, welcoming the public daily from 9:00 a.m. to 5:00 p.m. and open late on Thursdays until 8:0 p.m.